…and this weekend we’ll be celebrating our one year in Vancouver, BC! Photo by Lauren Brown, who’s was wonderful to work with! Now, normally I know you’d all just call me if you had any issues, but I’m getting married so that won’t work out. Instead, if you need help you can check out: https://www.dropcam.com/support or call them at 877-345-3767 (they’re open Monday through Saturday until 7pm Montana time). We’re just about all here in Bozeman (last few people in the wedding party are flying in this afternoon), getting everything ready for tomorrow. The rehearsal is later today, where we can iron out the last kinks before we’re go for launch. 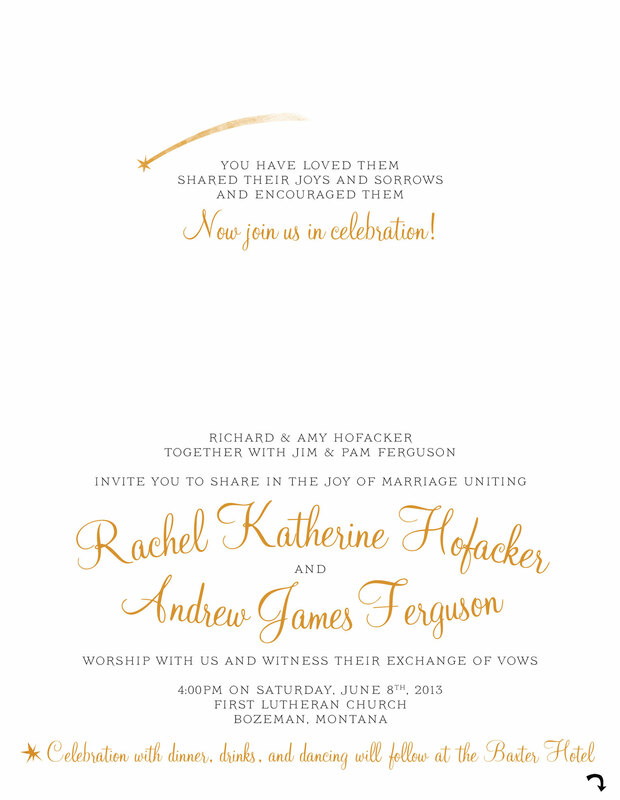 If you are unable to make it, we will be live streaming the wedding! We’ll post more information later tonight, but you’ll be able to see the live stream at First Lutheran’s DropCam site: https://www.dropcam.com/p/flc. Have we got an awesome update for you! Remember how Back In The Day™ people would have disposable cameras on the tables at their wedding? We would all grab them and make silly faces and take awesome and hilarious pictures. I was never actually at a wedding that did this, digital cameras had become ubiquitous enough by the time my friends started to get married that we just took our own pictures. The problem with people using their own cameras (digital or otherwise) has been: how do the bride and groom get the photos from everyone after the wedding? Myriad of providers have seemingly popped up overnight vying to get a slice of the cake. I’ve spent the last several months field testing, reviewing, observing, and analyzing. After searching high and low we settled on WedPics. WedPics has an awesome app for iPhone and Android that will easily let you take photos and upload them to our online album automatically1. 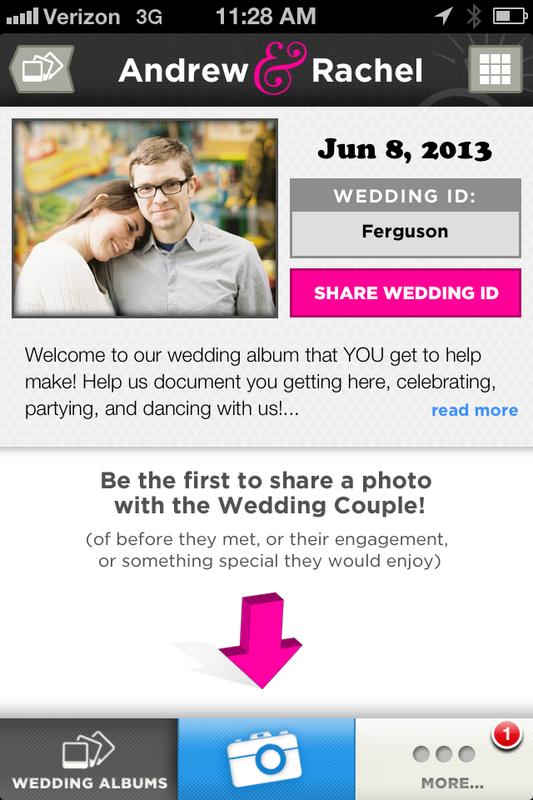 Sign in using the Wedding ID: “Ferguson” and then create a user account2. 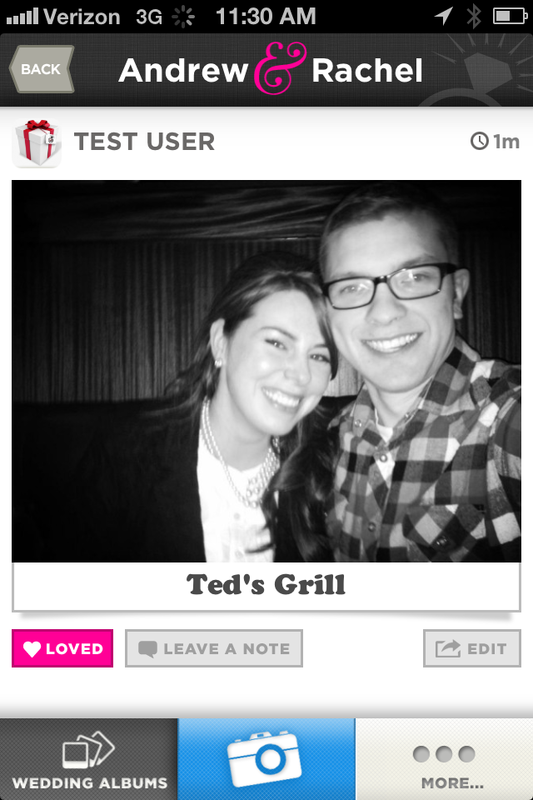 3) Leave a note on and “Love” other peoples photos! A: No way, Jose! Download the app now and take pictures on your trip out to Bozeman! We even created a special album just for that: “Guest Road Trip!” There’s also a “Memory Lane” album if you have any pictures you want to share now, maybe from that camping trip we went on last year. A: WedPics will also let you upload pictures that you take in other programs, like Instagram (#arfwed) or AfterLight. 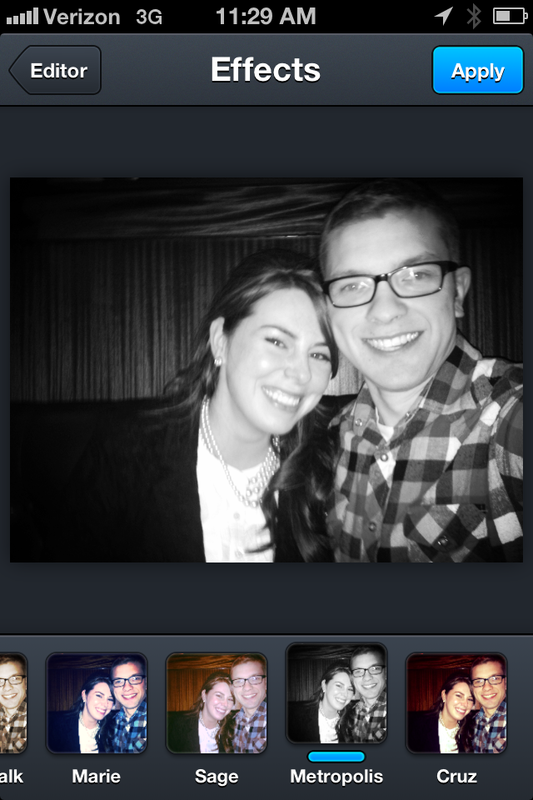 In the WedPics Camera pane, tap the iPhone album icon (bottom left), then choose one or more photos to upload! A: Yup, for all the picture you take a local copy is also saved on your device. 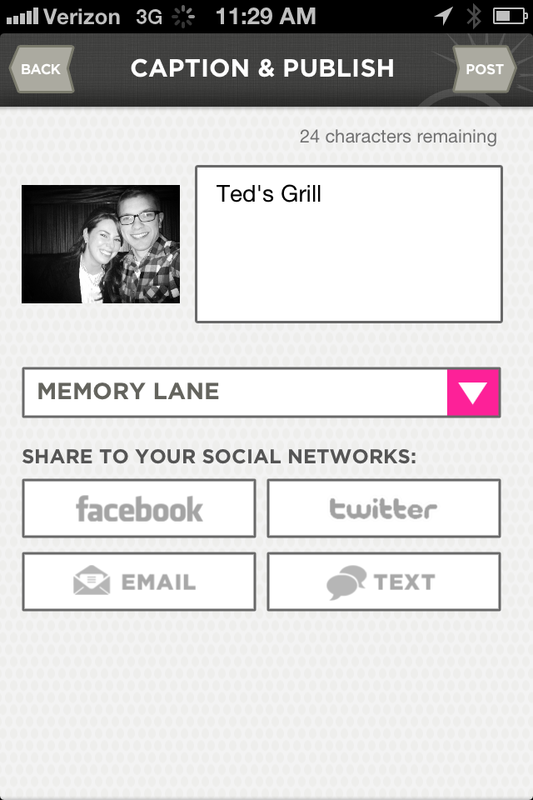 You will also be able to browse, in real time, photos our other wedding attendees have uploaded. You can “like” them and comment on them too! A: Don’t sweat it, Kolby. 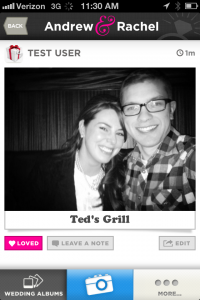 If you don’t have an iPhone or Android3, log on to WedPics.com when you get home to upload and share your photos with us! Q: What if I want to post on Twitter? 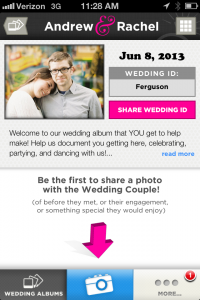 Q: What happens if I take pictures using WedPics on the road trip but I don’t have a cell phone signal? 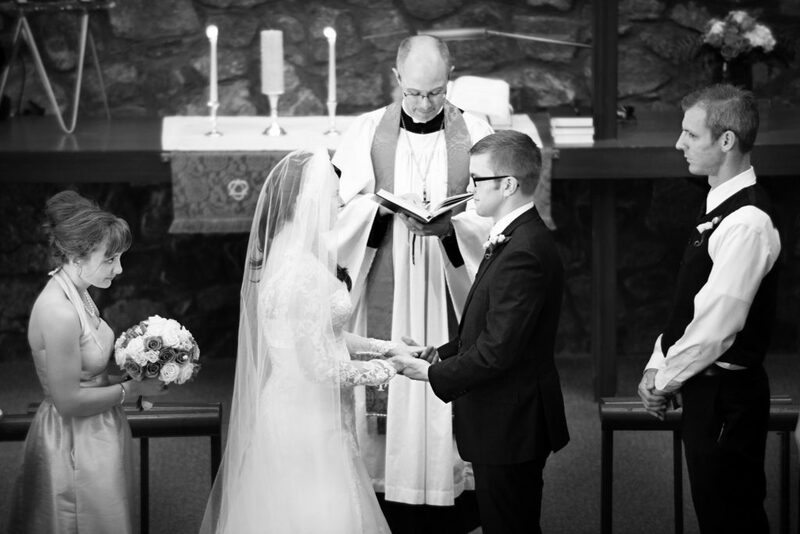 A: WedPic will save the pictures and wait for you to get back into reception range. Once it has data access, it will automatically upload any photos taken while you were offline! Diving into the numbers: Have you RSVP’d? 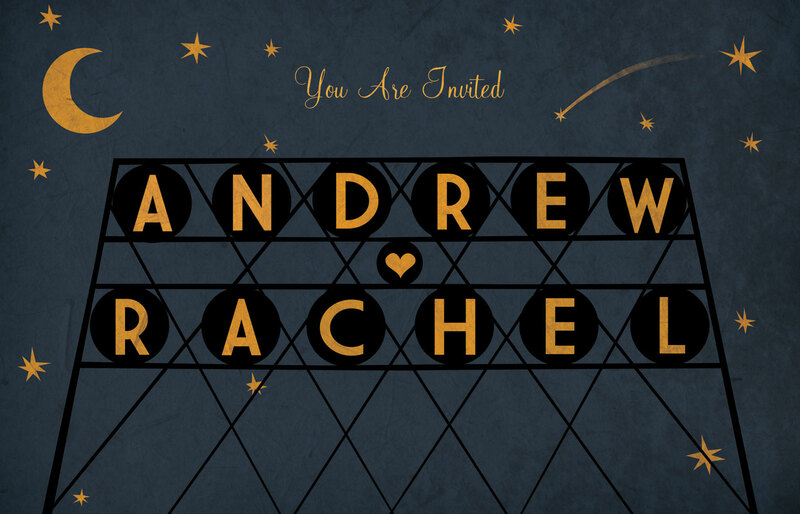 If you are reading this, odds are you have probably RSVP’d. If you haven’t had the chance, here it is! Jump on it! . For the last several days, I’ve been staring at this chart — and the accompanying data — to try to deduce just how many people are able to make it to our wedding. As of this writing, we have a 41.7% response rate with 53.2% of those responding yes. I’ve attempted to create several statistical models and most are predicting somewhere around 58.2% of all invitees responding yes. 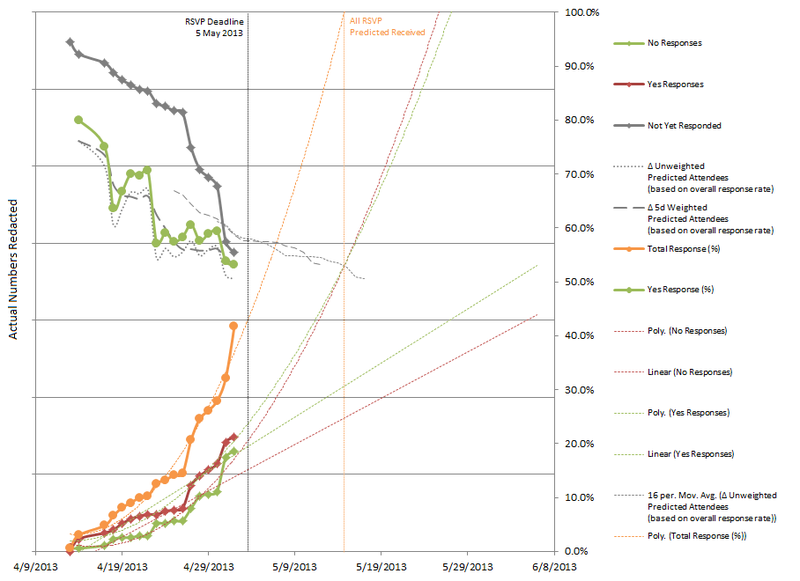 However, the linear trend-line is only predicting a meager 34.6% turnout. Personally, I think we’re going to get pretty close to our predicted number of guests, we may even be a titch under. 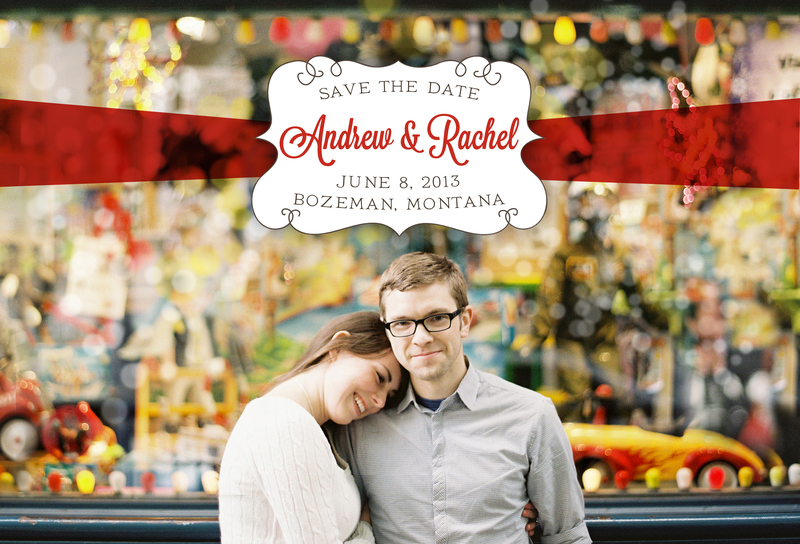 This is your opportunity to go on an awesome adventure to Montana for a certain June wedding! 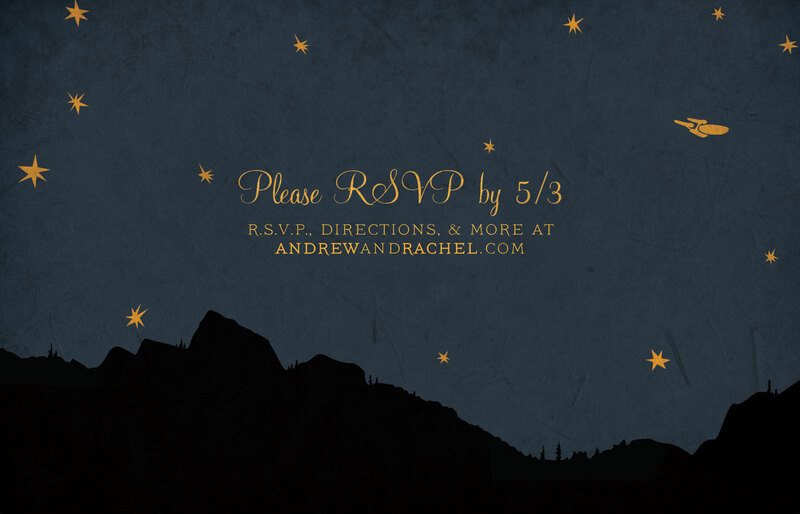 Invitations: Sent — Have You RSVP’d? 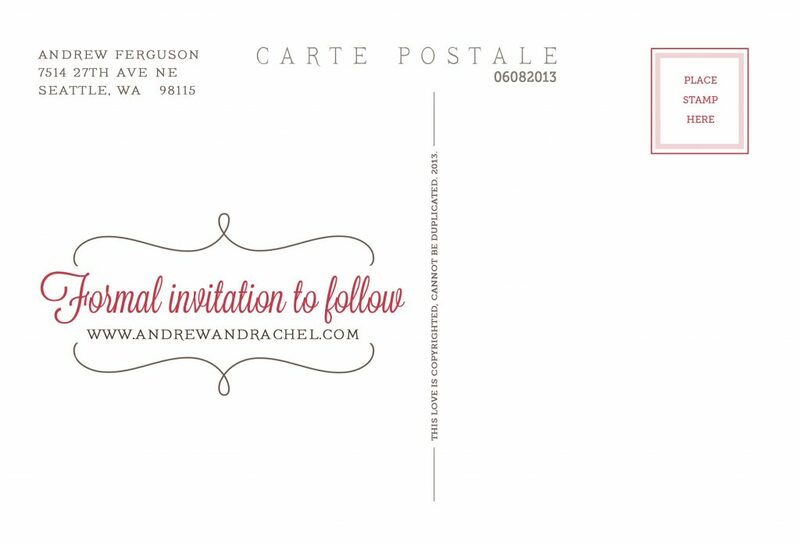 Invitations have been sent out and hopefully you have them in hand by now! It was a really fun process to work with Shannon on designing them and having Savage Color, a local company, print and score them. 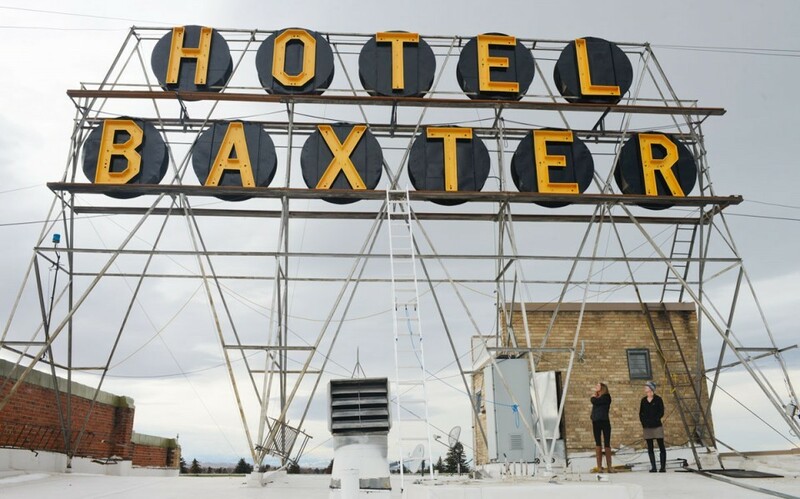 The front is based off the sign atop the Baxter Hotel where our reception is being held. The mountains on the back side are a silhouette of the Bridger Mountain Range. There’s also a small tribute celebrating another event that will occur almost 50 years later in Bozeman, Montana. Don’t forget to RSVP (by May 3rd) and we hope to see you all in six short weeks! We updated the Guest Information page with details on where to stay and what to do. Take a look and don’t forget to book your hotel room before the end of April! Also, don’t forget to subscribe to our email list so you can get future updates! Photo by Bryce Covey. Design by Shannon Erickson. There’s currently information on flights and travel distances if you’re driving. If you are interested in carpooling, shoot us a note — we’ve received several requests already! In the next two weeks or so, we’ll be posting information on accommodations and fun things to do in Bozeman.